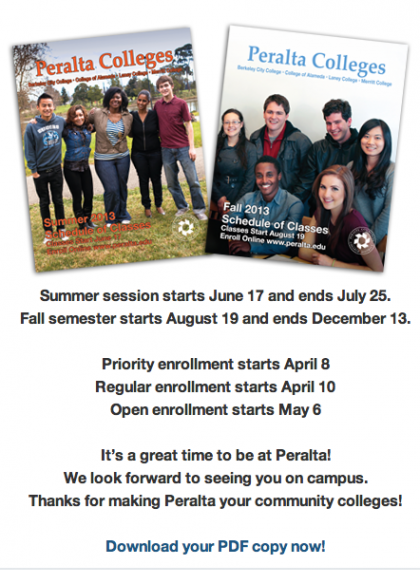 Get the classes you need this summer at the Peralta Colleges. Summer school classes start on Monday, June 20. You can enroll online or in person. 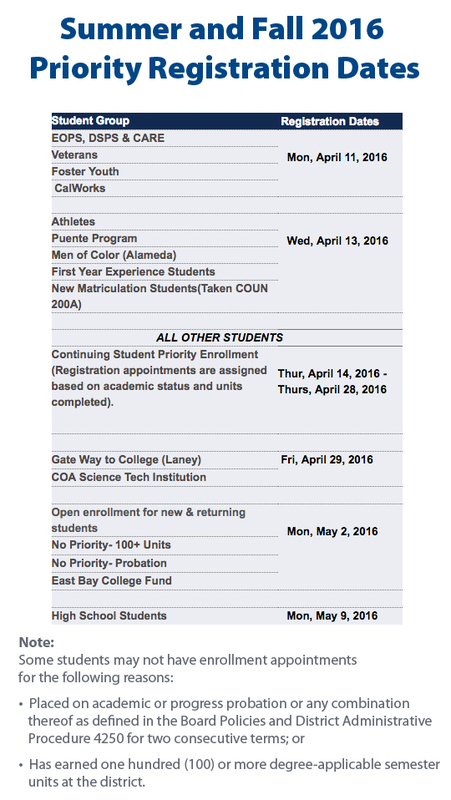 All Admissions and Records (A&R) offices at the four Peralta Colleges — Berkeley City College, College of Alameda, Laney College and Merritt College — will be open this Friday, June 17, from 10:00 a.m. to 2:00 p.m. to help you register. 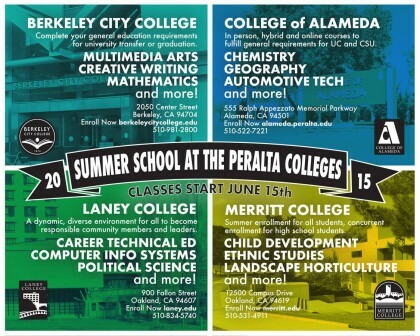 Don’t miss summer school at the Peralta Colleges! 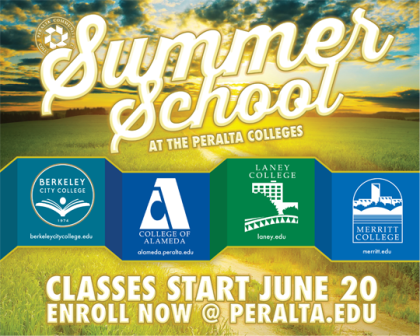 Summer School at the Peralta Colleges! Get the class you need during Summer School 2016 at the Peralta Colleges. Each of our four colleges — College of Alameda, Berkeley City College, Laney College and Merritt College — are offering classes this summer. Take classes at one college or all four and get the classes you need. See the class schedule and enroll now! Classes start June 20. You can enroll for the 2015 Summer Session NOW! Don’t let your classes fill up! Summer Session begins June 15. 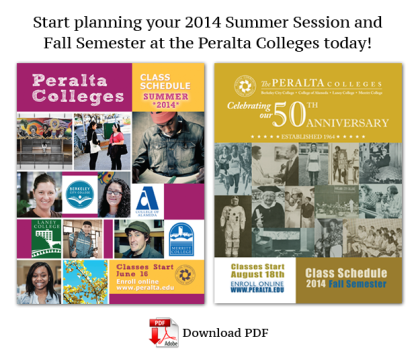 The Peralta Colleges Summer and Fall 2013 Schedules are ready for download! 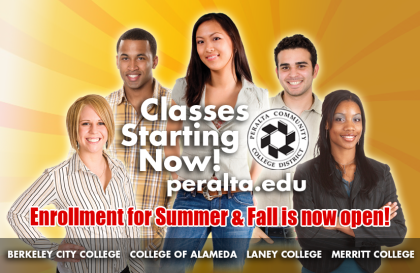 Summer and Fall 2013 Class Schedules are online!